The Australian government has unveiled a new Aboriginal advisory body that will help shape its policy towards disadvantaged native communities. The National Indigenous Council will be headed by a magistrate, Dr Sue Gordon. She said it would focus on addressing domestic violence and reducing the widespread dependence on welfare. Earlier this year, the government abolished the biggest indigenous organisation, the Aboriginal and Torres Strait Islander Commission (ATSIC). The creation of the National Indigenous Council is the latest attempt to give Aboriginal Australians a real say in how problems in their communities are addressed. The Indigenous Affairs minister, Amanda Vanstone, said the 14 members selected by the government would be able to give top quality advice. They include a professional sportsman, a nurse and a successful entrepreneur. The new organisation has been rejected by some Aboriginal leaders who have labelled it a token gesture and its members government lackeys. Dr Gordon has brushed aside the criticism. The children's court magistrate has told an Australian newspaper that there was much work to be done and that violence within Aboriginal families had become monstrous. 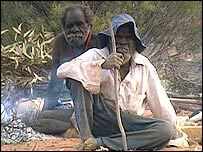 Australia's Aborigines suffer alarming rates of ill-health, unemployment and imprisonment. For many, poverty and disease have become a way of life, although hundreds of projects around the country are shedding light into these dark and depressing corners. Prime Minister John Howard announced earlier this year that ATSIC - set up in 1990 to provide advice on indigenous affairs - would be scrapped. He insisted the organisation had become too preoccupied with symbolic issues rather than the serious day-to-day problems faced by Aborigines.